"This is like Soylent Green in the shape of a vegetable." Is it though? The organic label is worth about $40 billion a year. An organic farmer can charge as much as twice the price for the same item – and work very hard for the ability to do so. The United States is unlike most countries (or regions, like the EU) in that our organic certification can legally be extended to crops that are not grown in soil. 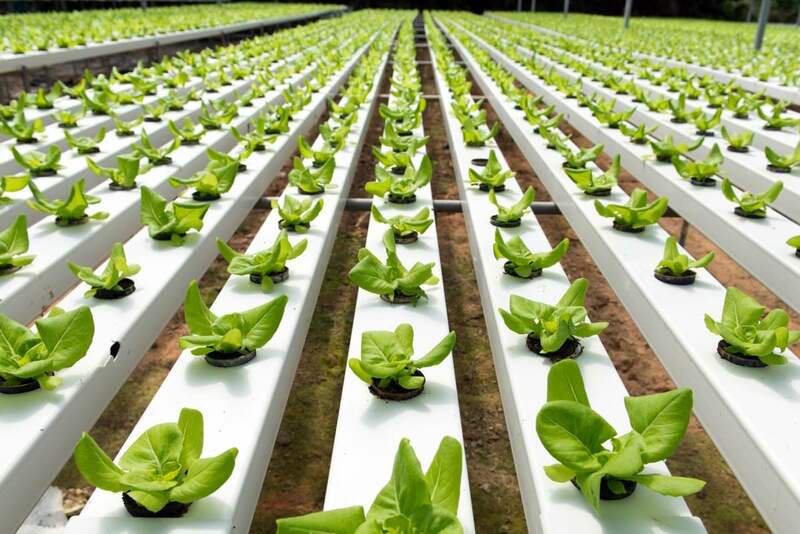 Hydroponic and aquaponic produce is, typically, grown in perpetually-flowing water in which nutrients are dissolved, and in the US, some farms using these methods can be certified organic. Proponents of the hydroponic organic certification say that their farms can be more energy- and water-efficient than soil-based farms, that they can reduce transportation costs by being built basically anywhere (including indoors, smack in the middle of cities), and that they can be just as sustainable and eco-friendly as any traditional farm. The other side – the side that wants organic certification to be restricted to soil-based farms – sees hydroponic organics as a victory for a spooky sort of agriculture controlled by corporations that perverts the very soul of the organic movement. What does the NOSB, which is in charge of actually making this decision, think? They’re not sure yet. They determined in Denver that they have more questions than answers, and that they’ll need more data before making any decision. For now, hydrorgranics remain legal. Hydroponics and other technologies like it have captured the imagination of farmers for decades; the technologies enable young farmers, increasing numbers of whom live in cities, to create hyper-local farms that actually produce solid yields. Some systems incorporate big fish tanks – tilapia is a popular choice – which are strung together with the plants to create an ad-hoc sort of ecosystem. “It’s a very natural-type system,” says Marianne Cufone, executive director of the Recirculating Farms Coalition. “It’s mimicking nature, where the fish do what they do in the water to live and breathe, and they create nutrients in doing so, and those nutrients then are taken with the water to the plants, and the plants absorb the nutrients they need to live from the water, cleaning the water for the fish.” It is, basically, a high-tech artificial pond – a closed-loop system where the fish help the plants and the plants help the fish. And we can eat both the plants and the fish. These sorts of farms are gaining traction; most cities have a few. Many of them are too small to really be commercial – maybe they’re educational farms, maybe they’re startup-y experiments, maybe they’re an outpost of a restaurant or other facility that doesn’t rely on the farm as a sole source of income. Fact is, they’re popping up more and more. In her view, Cufone and farmers like her embody the spirit of sustainability and responsibility that customers look for in an organic product. “I feel bad for those [small] operations, that they’re getting wrapped up in this debate, but they are not the problem,” says Linley Dixon. Dixon is the chief scientist for the Cornucopia Institute, a group that represents small farmers and has become a major voice in opposition to hydro-organics. Cornucopia firmly believes that the organic certification should go only to farmers who grow in soil. Their argument against hydro-organic agribusiness is multi-fold. First is their belief in the inherent superiority of soil-grown produce. Kastel repeatedly cited the superior flavor and nutritional content of soil-grown vegetables. (That last part is up for debate; there’s yet to be scientific consensus on whether organic food is more nutritious than conventional food. The former claim varies based on crop.) Cornucopia also believes that the concept – the soul, if you will – of organics isn’t just about the singular crop: it’s about the the ecosystem, the environment, and the planet. Proper soil-based organics ensures healthy soil for generations, allows for thriving communities of beneficial insects, and, in turn, an entire ecosystem around them. Organics is about the planet beyond the pepper, they say. It’s probably worth pointing out here that Cornucopia repeatedly claims hydro-organic farms are “illegal,” while the hydro people repeatedly state that they’re following the letter of the law. Frankly, it’s too much of a tangle to go into: both sides make compelling legal arguments, but the real battle is not really about which side is, say, bending to abstraction a bunch of minor rules about nutrient sourcing – it’s about money and soul. But probably mostly money. “This is like Soylent Green in the shape of a vegetable.” – Mark Kastel, cofounder of Cornucopia. Cornucopia made it a point to say that they approve in spirit of small, sustainable hydro producers like Cufone; they think that stuff is cool, or at least cute. But they do not believe it should ever be labeled organic. The organic label is worth about $40 billion a year. It is monstrously huge business, which is the only reason many farmers put up with the equally huge amounts of red tape it takes to actually get the certification. An organic farmer can charge as much as twice the price for the same item – and work very hard for the ability to do so. So while the organic standards were designed to reward the most conscientious of farmers, what it’s also done is entice less-conscientious corporations into hitting the bare minimum in order to rake in that sweet organic cash. This is all legal at the moment, keep in mind; Cornucopia is fighting to strengthen the restrictions on organic farmers, in a way that would box out those who, in their mind, are unworthy of the organic label. The chief villains, to Dixon and Cornucopia, aren’t small timers, like rooftop farms in Brooklyn or progressive vertical projects in Chicago. It’s gigantic agribusiness corporations, chiefly Wholesum Harvest and Driscoll’s. Both of those companies have gigantic organic hydroponic businesses, selling tomatoes, cucumbers, squash, peppers, and berries, which are grown, in some capacity, in hydroponic greenhouses. “It’s almost science fiction, Dan, to say that we want all of our food grown in these hermetically-sealed buildings,” Mark Kastel, the cofounder of Cornucopia. told me. “This is like Soylent Green in the shape of a vegetable.” Kastel believes that these companies are not in the spirit of the organic movement and are thus deceiving customers who have a vision of organic produce coming from ethical farmers, harvested by ethical farmers in ethical overalls covered in ethical dirt. Hydro-organics often does not include any outside interaction with the planet at all, being less spooky than Kastel thinks they are but no less hermetically sealed. When I presented that to Cufone, she protested. “Not all aquaponic systems are entirely closed,” she says. “For example, the system that we run, we take some of the solid fish waste out and use it on in-ground growing. A lot of people do multiple forms of growing on a farm.” But the current law doesn’t require any of that to earn the certification. The bigger argument is about money, as the end of most arguments are. It is extremely easy for a hydroponic farm to transition to organic; all they need to do, as Kastel says, “is turn a valve.” (Basically, just replace any banned nutrients or fertilizers with permitted ones.) Turning a conventional soil-based farm into an organic farm is much, much more involved; you have to allow the soil to recover for three years before you can call your food organic. What about a new label? I offered a few possible solutions to this issue, all of which…failed. What about a totally new label, I asked both Cufone and the folks from Cornucopia? Say, USDA Certified Sustainable Hydro, with totally new rules for what makes a truly sustainable and ecologically-friendly hydro farm. Has a nice ring to it, right? Cornucopia said sure, who cares, they can do whatever they want. Cufone, though, wasn’t into it. “No,” she said flatly. “Because USDA organic is the thing, it’s the thing that consumers know, and I think it’s really important for it to be the significant label in the United States. I think adding new labels dilutes the USDA organic label, and I also think the whole ‘separate but equal’ thing hasn’t worked so well in the United States over the years.” Whoof. Okay, how about this genius idea of mine: USDA Organic Hydro. Again, separate rules, and a new label, but it has the word “organic” in there. Cufone thought this was a great idea. The Cornucopia people, not so much. For Cornucopia, any use of the “organic” word is, yes, a perversion, but also not enough of a differentiation; considering how lousy the state of agricultural education is in this country, Cornucopia worries that people won’t much care about the difference between “organic” and “organic hydro.” And then they’re in the same position they’re in now: being boxed out by a bunch of techy corporations. There is no conclusion on the future of organics. It is a complete mess. Without proper education to ensure that customers know or care about the difference between conventional, organic, hydroponic, sustainable hydroponic, and who knows what else, as well as stricter rules to ensure that those labels actually mean what customers think they mean? We’re stuck with basically what we have, which is kind of a free-for-all. Both sides have a point; both the Cornucopia folks and Cufone want the farmers they represent to be recognized and paid for her dedication to sustainability. How to ensure they both get what they deserve? There’s no real solution. That’s what the NOSB is grappling with. As to when they’ll make a decision? Any decision at all? We have no idea. I believe that Organic certification needs to be limited to soil farming because that is the basis of being certified to begin with. I also believe in establishing a separate certification for commodities grown as Hydroponic highlighting the unique benefits such as lower carbon footprint, locally grown, and pre and post harvest benefits to the consumer. Having a clear message to end user understanding of what is being purchased is vital and creates value to the supply chain. The Earth Protector environmental group, based in Minnesota, supports organically grown food whether in soil, water, or air. I think it should depend on whether the liquid nutrients and everything else they’re grown with are healthy or risky. It reminds me of a comment a friend of mine once made on the matter of chemicals. Isn’t it all organic? I’ve heard this before, that somehow large farms violate the “spirit” of organic farming. That’s how the US organic certification laws came to be. Up to that time no one knew what the rules were. Now we do and as long as those rules are met the farm is certified. Size DOESN’T matter in this case.